This is my second pregnancy and we were so excited to find out we are having twin girls. This pregnancy is much different then my first with my son. The belly seems to have popped around 14 weeks. 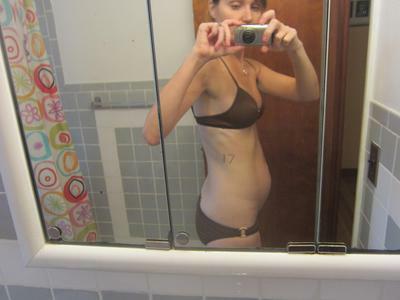 Here is a pic at 17 weeks. Dang wish my baby bump was that small. I'm 16 wks with twins and huge. Congrats and good luck! A beautiful mommy!! Yay for twin girls!! Yayyyyyyyyyyyyyyyyyyyyyy Jude is going to be a big brother!